This design is a custom-made sympathy frame using our most inspirational stems of the day. 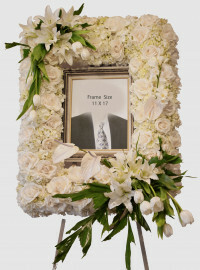 * Please note that the picture frame shown is not included and is optional. 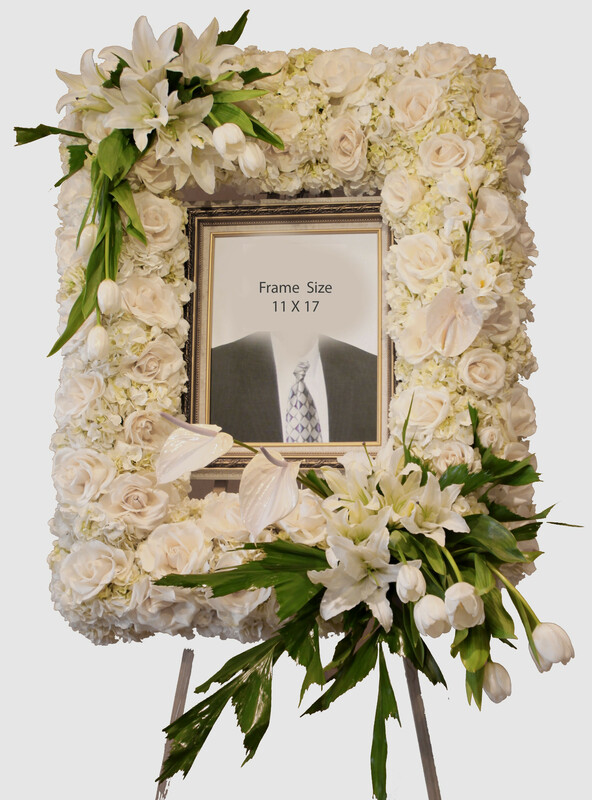 Please order the Premium priced arrangement to include the picture frame. Images can be emailed to us and included in the finished display.